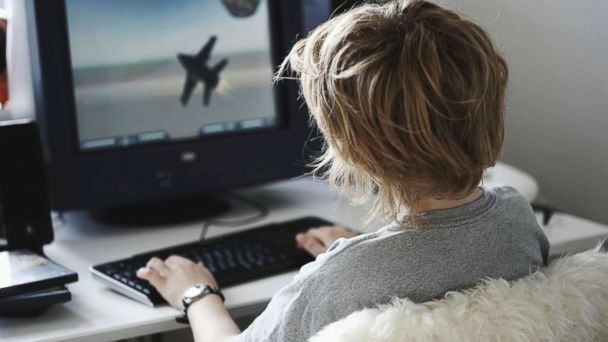 Follow the latest Germany news, videos, and analysis from ABC News. 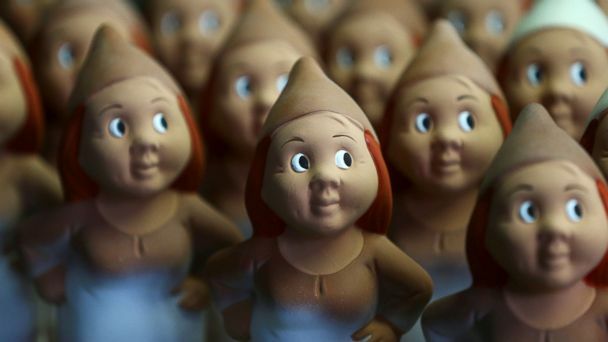 The family-owned gnome business was founded in 1874. 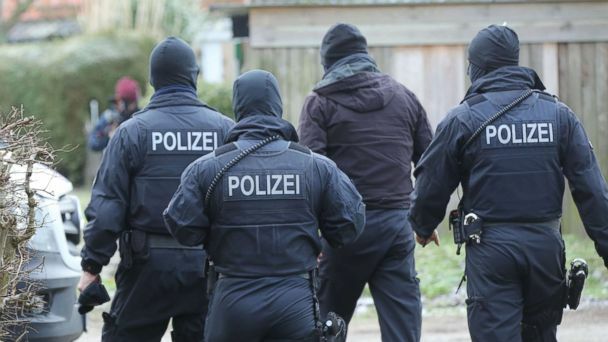 Three Iraqi refugees living in Germany were arrested on Wednesday on suspicion of planning an "Islamist motivated" terror attack. 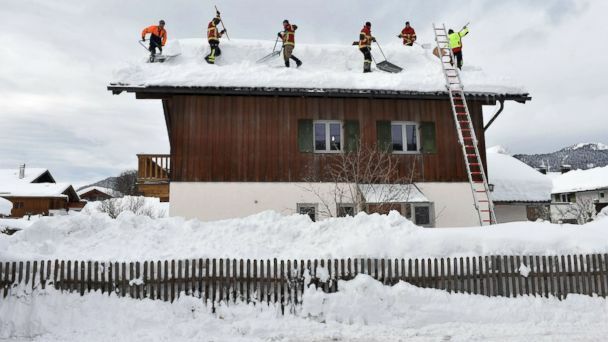 The latest in a spate of snow-related disasters the German media are calling "snow chaos", residents are evacuated from their homes in Bavaria. 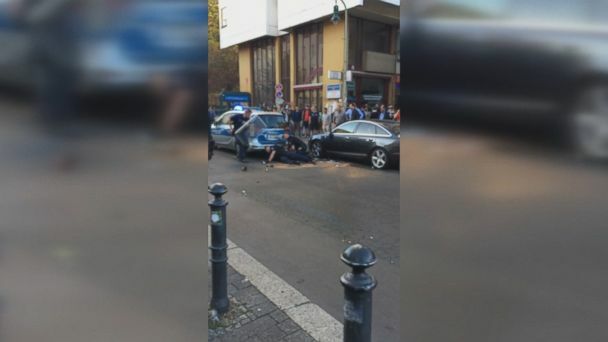 The incident occurred in a suburb of Berlin that is home to many African immigrants. Germans are used to videos of police beatings from the U.S., but not from there. 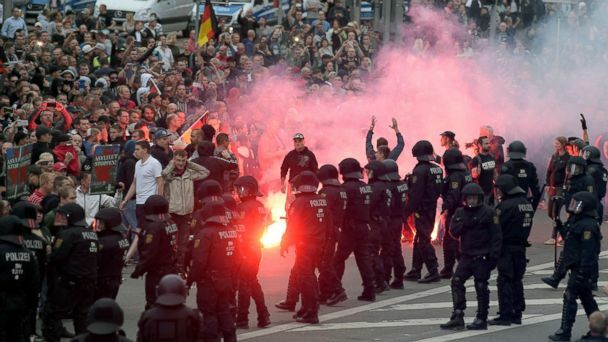 Tensions ran high in eastern Germany Saturday as protestors hit the streets. 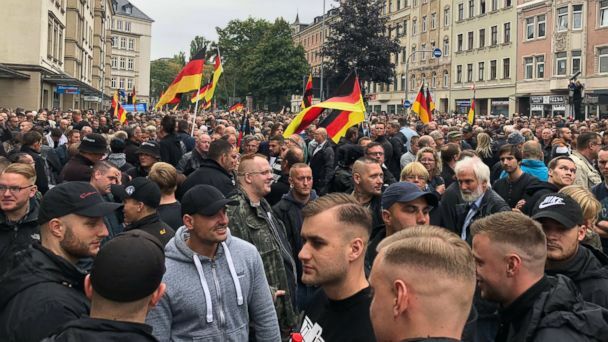 Tensions remain high as new far-right protests are scheduled for Thursday, with counter-demonstrations planned around Germany in protest of far-right violence. The starkly contrasting approaches Germany and Hungary’s leaders have taken toward refugees were on public display Thursday when they clashed during a press conference. A fight over migration controls started by a key member of Merkel's party that threatened to split the ruling coalition was resolved after weeks of tension. The driver also left at least 20 injured before committing suicide shortly after the attack. German Chancellor Angela Merkel was sworn in for her fourth term on Wednesday, and will continue to lead the world’s fourth-largest economy. German Chancellor Angela Merkel is facing the greatest political crisis of her 12 years in office. 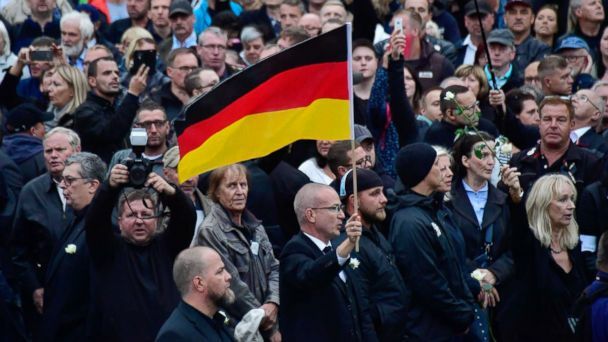 Authorities said he planned to "detonate a bomb in a crowd in Germany." Germany's far right-wing populist Alternative for Germany party scored high. Dozens of officers injured as marchers protest globalization and capitalism. One suffered an eye wound from a firecracker, police said. Germans head to the polls on Sept. 24 in what observers say could be the country's most consequential political contest in decades. The 16 million people of East Germany finally formally came together with the more than 60 million people of the west. For East Germany, so much has disappeared. It is a moment for extraordinary celebration as it marks the true end of World War II. The German chancellor said Europe "must take its fate into its own hands." Police have made one arrest following an incident in which multiple explosions went off near the team bus of Borussia Dortmund, one of Germany's top soccer clubs, as it set off for a Champions League quarterfinal match on Tuesday evening. Police have made 1 arrest following an incident in which multiple explosions went off near the team bus of Borussia Dortmund. A suspect is in custody after what appeared to be a random attack at a train station in Duesseldorf, Germany, authorities said. Several people have been hurt, and at least one suspect is in custody. Several trains have been canceled or delayed because of police activity. Anis Amri, a suspect in the attack on a Berlin Christmas market that killed 12 and injured 48, was killed in a shootout with police in Milan, the Italian Interior Ministry said. The suspect's fingerprints were found in the cab of the truck; U.S. intelligence agencies previously tracked the suspect. Anis Amri, a suspect wanted in connection with the Christmas market attack in Berlin, is very likely the assailant, according to German Federal Interior Minister Thomas de Maiziere. ABC News' Pierre Thomas reports on what U.S. officials knew about the suspect, Ani Amri, before the attack and whether Amri is tied to ISIS. The president-elect called the deadly Christmas market attack "an attack on humanity" as he appeared before cameras at Mar-a-Lago in Florida. 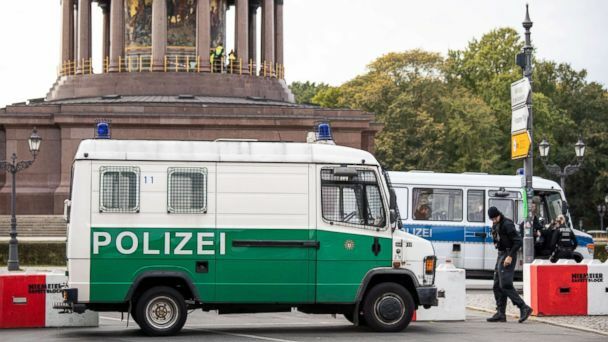 German authorities have identified the suspect as Ani Amri, a 24-year-old from Tunisia who is known to use at least six names and three nationalities. Report reveals that for months, German authorities had been tracking the suspect, who left his ID in the truck used in the attack. Helicopters patrol from the air, armed police on the ground are on high alert, and extra security barriers are in place around Buckingham Palace as London prepares for the changing of the guard. German authorities have issued a wanted notice for a Tunisian man in connection with Monday's deadly attack on a crowded Christmas market in Berlin. President-elect Donald Trump called the deadly truck attack in Berlin an "attack on humanity" that has "got to be stopped," he told reporters at his property in Florida today.